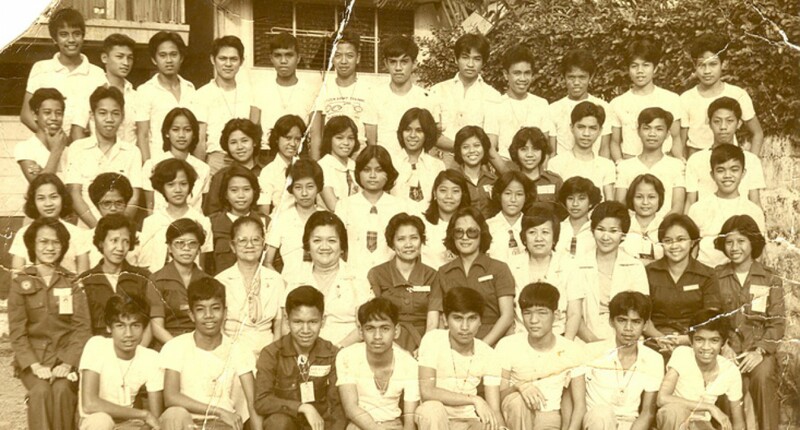 Notice that their teachers would also become ours in our senior year, with the only difference that their class adviser was our Pilipino teacher, Mrs. Agapita Correa (of the napakagandang-pangungusap-pakiulit-mo-nga fame), while ours was Mrs. Fe Calope-Lomantas. There are more familiar faces, including Eufrocino Pia, the first guy in the top row, who used to be Eddie Roberto’s neighbor in Juan Luna. We would like to thank Annie Winda Barros-Mojica for posting this photo on the LDHS Alumni Network. I hope wala akong nakalimutan and the ones with ??? di ko na maalaala surname, yung (?) doubtful ako at (RIP) sumalangit nawa. Gud pm. Wd u know the cel of Alberto Diongco? He s our classmate in Tinajeros b72. We wd like to get in touch wd him.. Thank u. The Site Team: Hi Nanette. Is he from Lakan Dula High School? If so, we do hope someone would read your comment.